The Specialized High Schools Admissions Test (SHSAT) is an examination administered to eighth and ninth grade students residing in New York City and used to determine admission to all but one of the city's Specialized High Schools. The test is given in early November (It will be taken on October 23rd and 24th in 2010) in all 5 boroughs. Students in Manhattan will take it at Stuyvesant High School, in the Bronx at Bronx High School of Science, in Brooklyn at either Stuyvesant or Brooklyn Technical High School, in Queens at Long Island City High School or John Adams High School, and students in Staten Island will take it at Staten Island Technical High School. 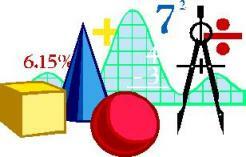 The SHSAT tests for logical thinking and high ability in both English and mathematics. Both sections consist of multiple-choice questions. There is a time limit of 3 hours for both sections, with no break in between. The exam is only offered once a year, and can be taken in both the eighth and ninth grades if the student wishes. 1. Whenever Derek sings, Jenny gets a headache and Karen groans. If Karen is not groaning, which of the following statements must be true? (A) Derek is singing and Jenny has a headache. (B) Jenny has a headache but Derek is not necessarily singing. (C) Derek is singing, but Jenny does not necessarily have a headache. (D) Derek has been singing and Jenny is beginning to get a headache. (E) Derek is not singing. 2. John will eat the apple if Danny does not cook. Based only on the information above, which of the following must be true? (A) John will not eat the apple if Danny cooks. (B) If John did not eat the apple, Danny did cook. (C) If John eats the apple, then Danny did not cook. (D) If Danny does not cook, John will not eat the apple. (E) If John did not eat the apple, Danny did not cook. (A) The jury never actually reached a verdict. (B) The jury had reached a verdict but had been disrupted by a single juror. (C) There have been other trials in which the jury failed to reach a verdict. (D) Only trials in which the jury fails to reach a verdict are declared mistrials. (E) The judge's role is not as important as that of the individual jurors. (A) The time limit has been established to give every member a chance to run. (C) If Ben is running at the gym, he will have his membership revoked. (D) Ben will be getting off the treadmill as soon as possible. 5. In the 1940's, people diagnosed with disease X were not expected to live beyond six months to a year. early treatment. According to the information above, which of the following must be true? (A) Modern medicine is now capable of curing disease X. (B) Most people no longer die from disease X. (C) Disease X is more easily cured than other serious diseases.